The takeover of Watford by the Pozzo family is unmistakably a new chapter in the story of the football club. After the ambivalent, taciturn and thankfully brief reign of Laurence Bassini, Watford fans are gazing out onto the first stretches of a rollercoaster, genuinely uncertain of what direction it may take them, and where it will end up. With most takeovers, there tends to be a vague understanding of what will probably follow: recently-bankrupted “local businessman” with no obvious sign of wealth taking the reins does not bode well; an oil-rich sheik ploughing money into a club is perhaps a cause for greater optimism, if success at all costs is what you’re after. In the case of the Pozzos however, both wary hopefulness and nagging concern is advisable. Watford are not merely handing over the stadium’s keys to a new set of suits, they are entering into a project that should be carefully observed by the footballing world. The fact that this chapter could go either way – launching the club into the Premier League and, for the first time in over a decade, genuine financial stability; or stripping the club of its unmistakable qualities (its tradition as a family club, its academy, its loyal staff members) only for the new owners to give up and consign the club to a downward spiral through the league – is what makes it so fascinating and, in my opinion, so worthy of chronicle. The fact that I, a lifelong Watford fan in my early twenties, am as of yet on the fence regarding the issue, unlike those who, having seen all too often such a change of ownership go awry, are vehemently against the arrival of the Pozzos and those who are so blinded by the possibility of imminent success that they ignore the very real issues regarding the club’s future, makes me perfect (blogging inexperience notwithstanding) to create such a chronicle. At the time of writing there has been very little official word from the club: from Frank Smith’s reportage for the Watford Observer we understand that the Pozzo’s met the staff yesterday (Monday 9th July) and that the newly-installed manager, Gianfranco Zola, will commence the delayed pre-season today (Tuesday 9th), followed by a press conference this afternoon. Indeed, the change of manager is the only official outcome of the changeover thus far, and that itself presents a dilemma for the watching fans – which I shall address shortly. First, however, I would like to ruminate briefly on the owners past and present. Laurence Bassini remains an enigma. As mentioned above, his business credentials prior to his purchase of Watford were not impressive: taking on the ownership of a football club is a fool’s errand and anyone thinking of doing so must have deep pockets, so for a candidate to change their name following bankruptcy shortly before taking on such a poisoned (and costly) chalice does not inspire confidence. That being said, Bassini’s running of the club was received with scorn and an overarching doubt not so much for what he did do (bought a couple of big screens, tweaked the PA system and made the grass running alongside the pitch a bit prettier) than what he didn’t. His lack of communication with the fans, cancelling and not turning up to several fans forums and Q&A sessions, was much publicised and derided. In a parting shot to the fans, Bassini claimed that he had never been given a chance, and this is, to an extent, true: he apologised for his initial hushed stance, citing a lack of appreciation for the necessary transparency in his new role. Time and time again, football has thrown up examples that show that trying to run a club like a business does not work, so it would seem fair to cut a businessman dipping his toe into the murky world of football administration some slack. And surely it was fine if he didn’t want to elaborate on where he was getting his money from – as long as the shareholders were happy he was free to keep such details private. The fans remained unconvinced though, a feeling heavily accentuated by the public questioning of his actions by then-Chairman and apotheosis-in-waiting Graham Taylor. And then it was over. And for all this defence of Bassini, in the last few weeks we truly saw was an utter buffoon he was, and how he was viewed by those inside the club. A staff member was suspended on the spot after refusing to hand over the keys to the safe to Bassini, he – having been removed from negotiations after breaking the terms of the bond he agreed with the shareholders – claimed that the sale was off, shortly before ‘the club’ released a statement to the contrary. It became clear that Bassini was not in control any more. That an official club statement would so clearly contradict the ramblings of the supposed owner and CEO of the club was baffling. 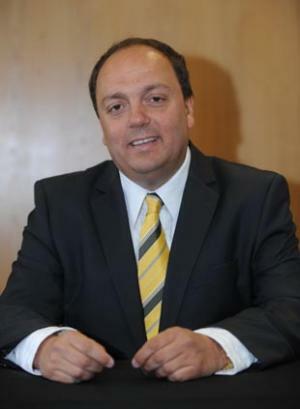 In the days following tentative confirmation of the sale in the Watford Observer, it became clear that Watford had been represented in the talks with the Pozzos by Andrew Andronikou, an administrator with the club that serves as a constant reminder of the perils of dodgy ownership, Portsmouth. Rumour has it that Watford was three days from entering administration. Change came at the right time. And it came in the form of the Pozzos. Their footballing background is well-published, and gives ample cause for glee that among the plethora of foreign businessmen looking to take charge of a football club, Watford seem to have found a couple that actually know something about the game. 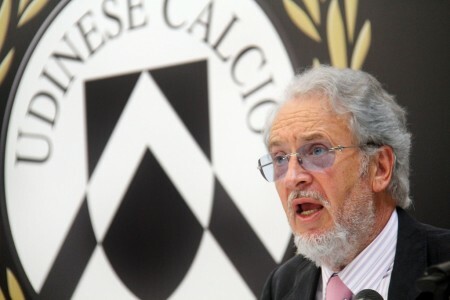 The Capo di tutti capi, Giampaolo Pozzo, bought Udinese in 1986 and, through multiple accusations of match-fixing and financial irregularity (which, lest we forget, is pretty much par for the course in Italian football), has seen them transform from a yo-yo club of Watfordian proportions into one of the best footballing sides in Italy, with a scouting network that has seen the likes of Vincenzo Iaquinta, David Pizzaro, Sully Muntari and last summer’s hottest property, Alexis Sanchez pass through the club. All of which is great, but it would be more pertinent, perhaps, to view Pozzo’s more recent footballing activity at Granada as a barometer for Watford’s prospects under the family’s guidance. The family bought the club in 2009 and immediately had a positive impact on the club which has fallen into disrepair in the Segunda B4. Using their wealth of footballing resources back in Italy, the Pozzos, with this project masterminded by Giampaolo’s son Gino (as Watford will be) lifted the club into the top flight of Spanish football, their team a mix of hungry Spanish footballers and Italian imports. Pleasingly, Heath Chesters, a Spanish-based journalist speaking to the Watford Observer, states that as well as the first team, the youth teams have come on leaps and bounds, now playing at the level at which the first team was no-so-long-ago competing, ‘focused principally on developing players from the province’. With much time and effort poured into the Academy at Harefield, the pride and joy of all Watford fans, this will come as welcome news. In interviews, the Pozzos have claimed that the outstanding youth development set up was one of the main draws of Watford and have reassured supporters that they have nothing to worry about on that front. The resume of the Pozzos is an undisputed success, but where Watford will fit into what is being heralded on Watford messageboards by curious fans of Udinese and Granada as the ‘Pozzo Family’, is another question. Udinese are undoubtedly the prize possession of the family, and whilst Granada have benefitted from the connection, they seem principally to have been used as a feeder club for Udinese’s less-polished players to cut their teeth in the competitive arena. This mass migration is another feature of Italian football that is alien to English football fans, with the hive mind of trustworthy information Wikipedia claiming that Udinese have 25 players either currently out on loan, or returning from loans from last season. Spanish football too, with their system of allowing clubs’ second teams to enter the league structure, is no stranger to sudden mass movement of bodies into a squad. How this will go down in England, where squads are, in the football league at least, usually built around 20 professionals with any experience to speak of, and where a club in the Championship would expect to be a master of their own domain rather than a nursery for other people’s kids, remains to be seen. Of course, Watford has been for some time a selling club, developing players and passing them onto better things, but at least they have been our players in the first place. Indeed, they also have a reputation amongst the biggest clubs in England for being excellent nurturers of talent, with the likes of Ben Foster, Tom Cleverly and Henri Lansbury ending their loan spells at Watford as considerably better players than when they arrived, but these cases have always been taken on when it has suited Watford: short of a creative midfielder, they would be happy to take an unpolished diamond from a big club for a season, thus benefitting the team and the player. It seems, however, that soon the squad will be inundated with Italian kids, who will be gone almost as soon as they’ve arrived, with little interest in the needs of the team or its own players’ development. This may well result in moderate success and exciting transfers of our own, but there will always be the nagging feeling that Watford is the mistress being paid off with the occasional flash gift, while the long-suffering wife enjoys the real wealth.